Diego has been a resident of Miami for the majority of his life. He has seen the City grow from a small town to an International City with an amazing skyline. In fact, he was part of that growth. Diego comes to real estate with a background in construction. He worked for Lennar – one of the largest homebuilders in the United States for over 4 years in Construction Management. This knowledge is invaluable to customers looking to improve, modify, or renovate existing properties. 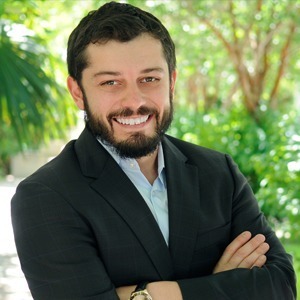 Diego transitioned to selling real estate realizing it was a better fit for his charismatic personality and the ability to work closely with people. He knew he could leverage the solid relationships he had already established and work to cultivate new relationships. He has a vast network of contacts and knows the City extremely well enjoying all its attributes from fine dining, shopping, world- class beaches, sports franchises, arts and culture.